1. Download soundhax.m4a file which is compatible with your 3DS console region: soundhax-jpn-n3ds.m4a for OLD3DS JP. Copy soundhax.m4a file to the root of the SD card. 2. Download the otherapp payload for your 3DS version and rename it to otherapp.bin. Copy otherapp.bin to the root of the SD card. 4. Insert the SD card into the 3DS and start Nintendo 3DS Sound. 5. Run soundhax.m4a, and the Homebrew Launcher will load! 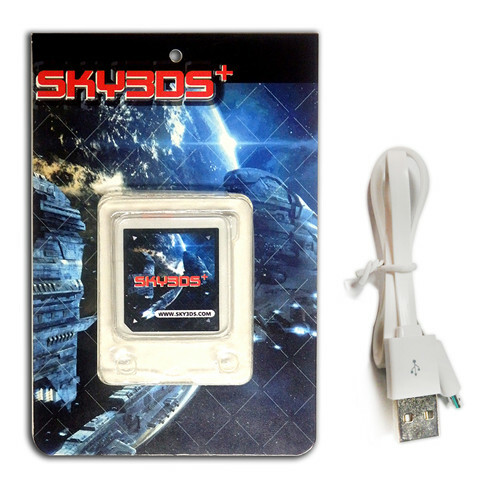 In Homebrew Launcher, you can play out-of-region 3ds games with sky3ds+ card. 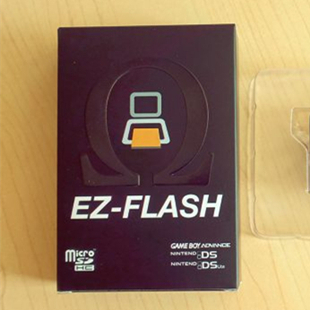 The new 3DS flashcard-EZ-FLASH Redux has the first MicroSD card side plug design in the market. EZ-FLASH Redux card can support all region 3ds games on all 3DS console up to v10.7. It can also support EmuNAND and homebrew. The direct save to microSD is an important feature of EZ-FLASH Redux. There are two ways of using EZ-FLASH Redux card: A9LH exploit and 414 exploit. 1. Download EZ-FLASH Redux kernel and unzip it. Copy launcher.dat to the root of internal SD. 2. Copy game roms to the microSD card and insert microSD card into EZ-FLASH Redux card. 4. Select “BOOT EZ Redux MODE” and press A. Your console will be returned to home menu, press SELECT and the game list appear in the upper screen. 1. Download EZ-FLASH Redux kernel and unzip it. Copy launcher.dat and luma folder to the root of internal SD. 3. rename the down_ezr.bin in luma\payloads folder to KEY_YOU_WANNA_TO_PRESS_ezr.bin or leave it be. for example：left_ezr.bin. 4. hold the key which you set in previous step and power up the console, default key is DOWN if you skipped the previous step, the A9LH will load the launcher and inject it. In the console main interface, press SELECT to popup the Game List in the upper screen. Use L and R to change the page and use direction pad to browse game. Press A when the game is selected, the game will be loaded and displayed in the lower screen. The Game List window displays the SYS or EMU to confirm the system you are using. Press L when the EZ-FLASH splash screen appearing in the upper screen, the REDUX menu will be displayed in the lower screen. 1. BOOT EZ Redux MODE: boot the system into REDUX mode. you can use the Game List and EmuNand. 2. BOOT Classic mode: boot the system into Classic mode, you can use the retail game cartridge and EmuNand, but no Game List. your data before use. the REDUX and Classic mode will automatic load EmuNand after it be created. 4. Restore 3DS savegame: restore the retail cartridge game save from SD card. 5. Backup 3DS savegame: backup the retail cartridge game save to the SD card. 6. 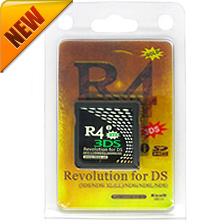 Backup 3DS Game Cartridge: backup the retail game cartridge rom to the SD card. 7. FIRMWARE UPDATE: update the firmware of EZ-FLASH REDUX card. 3DS Yo-Kai Watch 3-the new work of Yo-Kai Watch series has been released for Nintendo 3DS in Japan on Dec 15, 2016. There are many new Yo-Kai will be added and some Yo-Kai will only show in Yo-Kai Watch 3: Sukiyaki. Besides, it supports new models of 4 players playing together. We have tested 3DS Yo-Kai Watch 3: Sukiyaki on sky3ds+ card and this game works fine without any issue. PS4 Custom Firmware (CFW) comes out? News Sources: Japanese Dev Coded PS4 Custom Firmware (CFW), Plans to Sell Mods? “d3m3vilurr” updated Moonlight to v1.2 which can support the latest GFE3.2. favorite devices such as Android/iOS and Vita. Besides, the official team releases a new packaging and sticker-2017 R4isdhc rts lite, r4isdhc gold pro, r4isdhc dual-core . The function is still the same as 2016 and 2015 version card. Now it is around Christmas, cheap R4isdhc rts lite, r4isdhc gold pro, r4isdhc dual are good gifts for your kids or relative. Now dwtechz holds a Christmas promotion and all NDS flashcards are discounted. so new hax version is basically ready but probably pretty buggy. might need testers, especially on non-ninjhax 11.x entrypoints. interested? From Mr Smea’s tweet, the new version of hax-hax2.8 has been ready without test. There might be some bugs with it. After with some test and feedback, he will fix the bugs well. Then hax2.8 will be released. On his tweet, he asked some testers for help. If you are interested in it, pleas join it here. During the process, Smea said that hax .8 will works well with extended memory title on O3DS, which may be useful for O3DS users with N3ds exclusive exploit such as genhax.